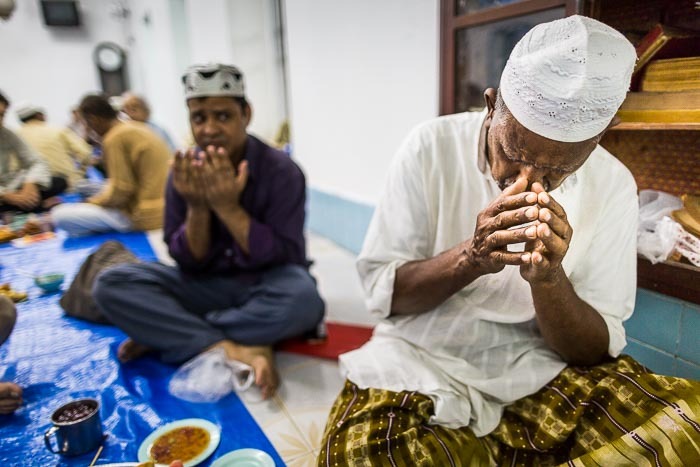 Men pray before the Iftar meal at Haroon Mosque (Masjid) in Bangkok. Iftar is the meal that breaks the day long fast during the holy month of Ramadan. 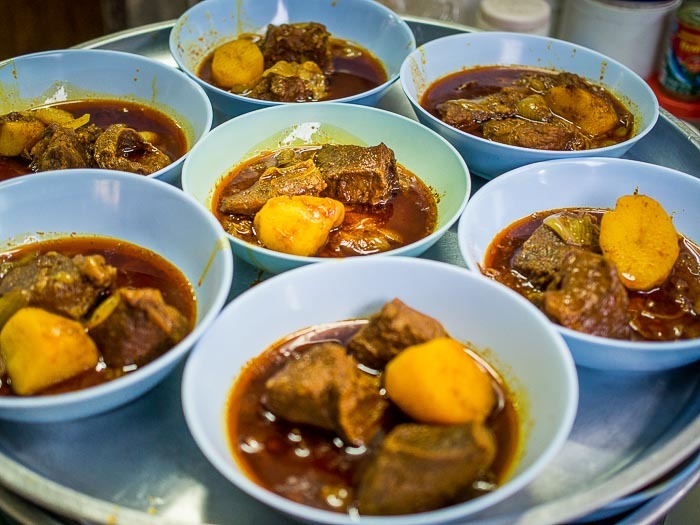 For many of the world's 1.57 billion Muslims it's the first meal of the day. Thailand is predominantly Buddhist but there's a very large Muslim minority in Bangkok (and a Muslim majority in Thailand's deep south). I went to Haroon Mosque to photograph the Iftar meal. I like photographing at Haroon Mosque (mosques are called "masjids" in Thailand). It was established in the early 19th century by traders from Java (now Indonesia) and is one of the first mosques in Bangkok. It's also one of the most diverse in the city. People from around the world are welcomed to its services and celebrations. I've photographed Iftar at several mosques in Thailand. Iftar at Haroon Mosque reflects its diversity. Last night the menu included somosas (from India), Burmese curries (from Burma/Myanmar), spring rolls (Thailand) and other dishes from Indonesia, Malaysia and India. All of it was outstanding.